Barbados is a picturesque island in the Caribbean that welcomes many tourists throughout the year. For those looking to stay in a stylish setting with awe-inspiring amenities, look no further than Sandy Lane. 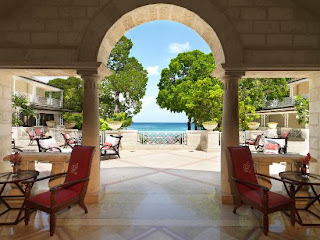 Located in what many consider a premier Caribbean address, Sandy Lane is known around the world for its elegance, making it one of the most prestigious resorts in the world. WhatAHotel! is proud to offer up this spectacular resort as an amazing option for your trip to Barbados, but guests booking with us will also receive some fantastic complimentary benefits that will make the trip truly memorable. 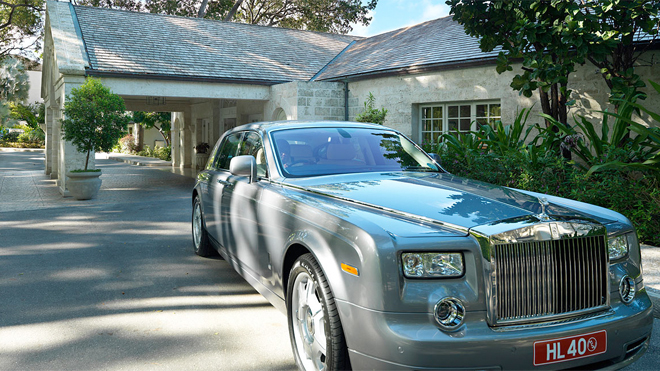 Upon arrival at Sandy Lane, guests will immediately discover what makes this resort so special. Sandy Lane is the culmination of great service and staff as well as exceptional elegance and unprecedented comfort. This 112 room resort offers it's visitors amenities that are fit for a king. Arrive in style inside the airport transportation that just happens to be a Bentley, and stretch your legs in your roomy 900 or more sq ft suite. The two Tom Fazio designed golf courses are sure to keep golf lovers quite busy, while the 47,000 sq ft spa welcomes those looking for a bit of down time. 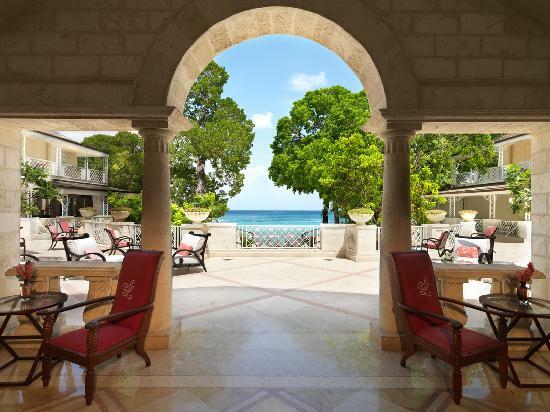 As with any Caribbean resort, Sandy Lane is nestled up against the pristine beaches overlooking the sea. The views alone can make you feel like you are in paradise. Dine at any of the on-site restaurants and experience posh decor that blends beautifully with the impressive menu. All four restaurants tempt you to taste flavors that are inspired from favorites all over the world. 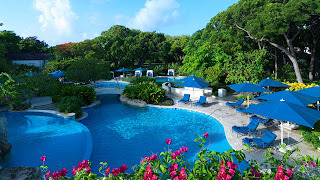 Enjoy a bit of perfection during your stay in Barbados at the idyllic Sandy Lane Resort. WhatAHotel! offers benefits that are simply fantastic when you book your stay through us. 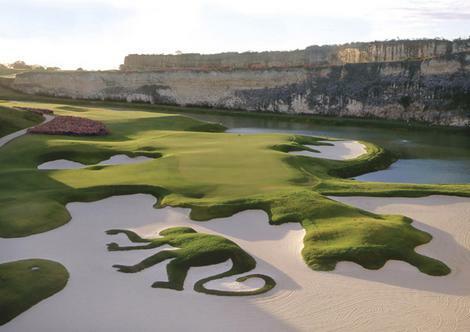 Full breakfast or a round of golf are just a few of the perks customers can receive. Along with these Exclusive Complimentary Perks, there are other magnificent packages that can be purchased to add to your stay. The Spa Escape package is for those looking to be completely pampered while on vacation, while the Family Escape package includes a gift to ensure your children feel welcome upon arrival as well as activities to guarantee some fabulous family memories. The Romantic Escape is perfect for honeymooners or those looking to put a spark back into their relationship, and of course there is a Golf Escape package that will impress any lover of the links. These are just a few of the added packages offered by WhatAHotel! and Sandy Lane that will make this trip exceptional. Let WhatAHotel! 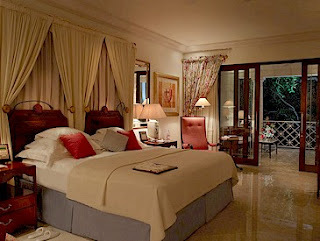 help you and your travel companions book your vacation getaway to the paradise that is Sandy Lane. Luxury, style and unparalleled service have been a staple here since the opening in 1961. Since that time, this resort has welcomed the discerning traveler looking for privacy as well as the finest the Caribbean has to offer. Life is good at the beach, but life is great on the beach near Sandy Lane in Barbados.